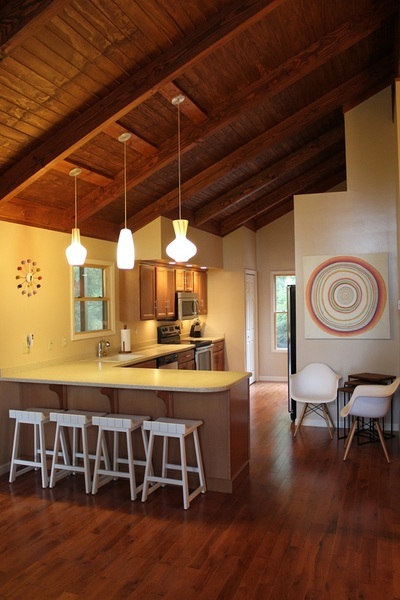 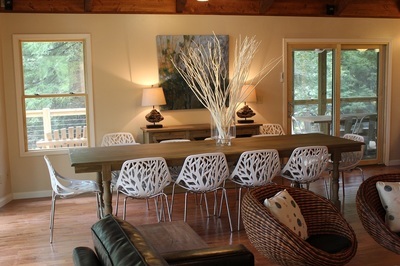 The Woods Ferry House is a 2 level home with 2000 square feet of living space and is capable of comfortably handling medium sized groups. 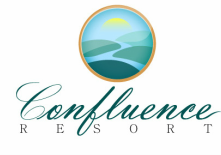 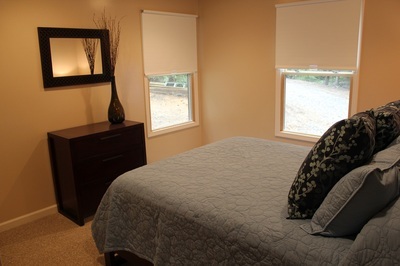 The lower/entry level features four bedrooms (3 Queen bedrooms and 1 bedroom with three twins) and 2 full baths. 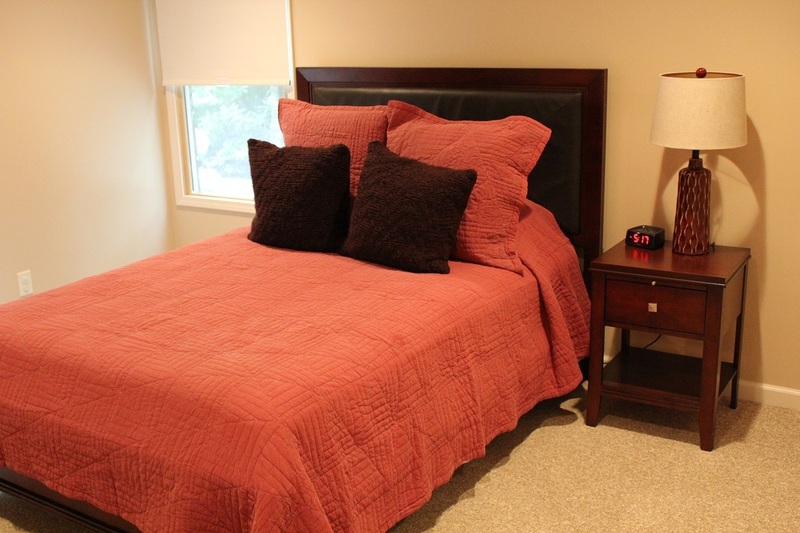 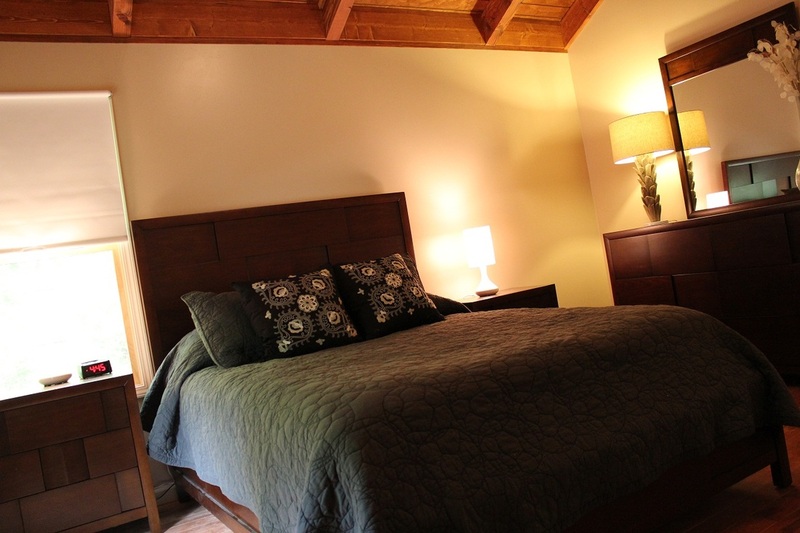 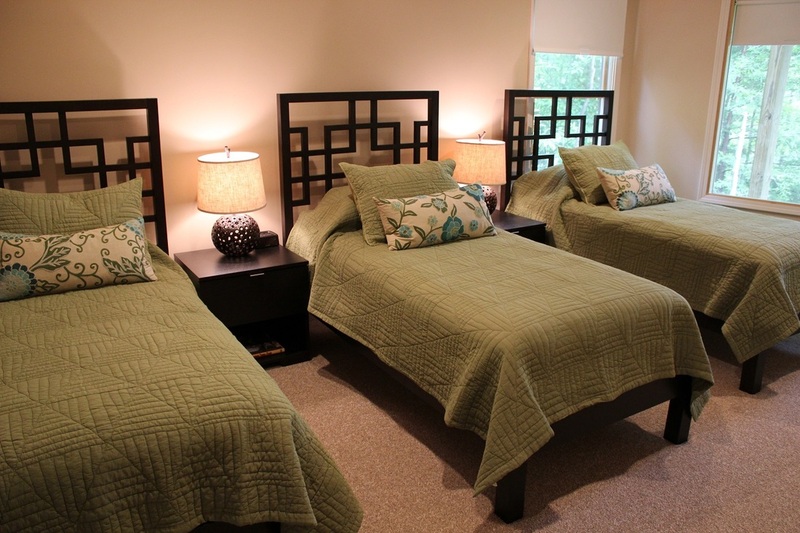 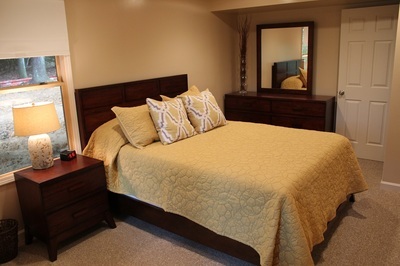 The Master bedroom (Queen size) is located on the second floor along with the third full bath. 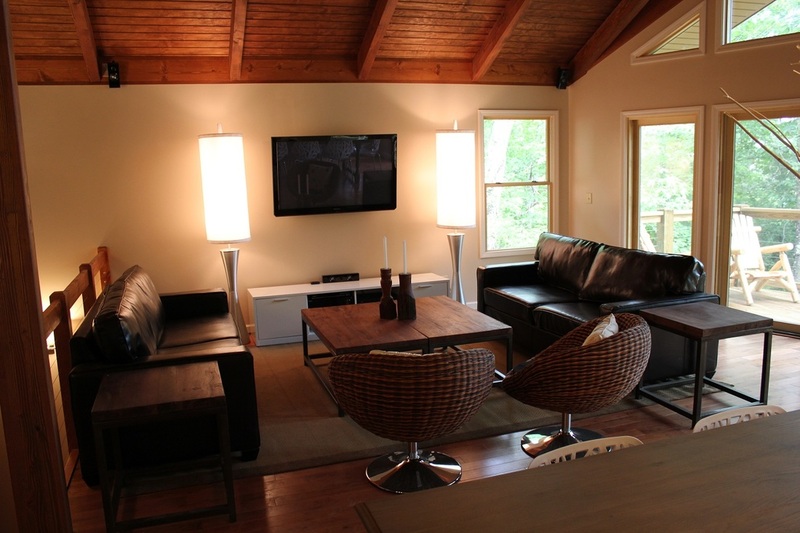 The upstairs level also features a full sized gourmet kitchen with stainless appliances, washer/dryer, a stunning great room with a large dining area seating 12, living area and a 50” Plasma flat screen TV with surround sound. 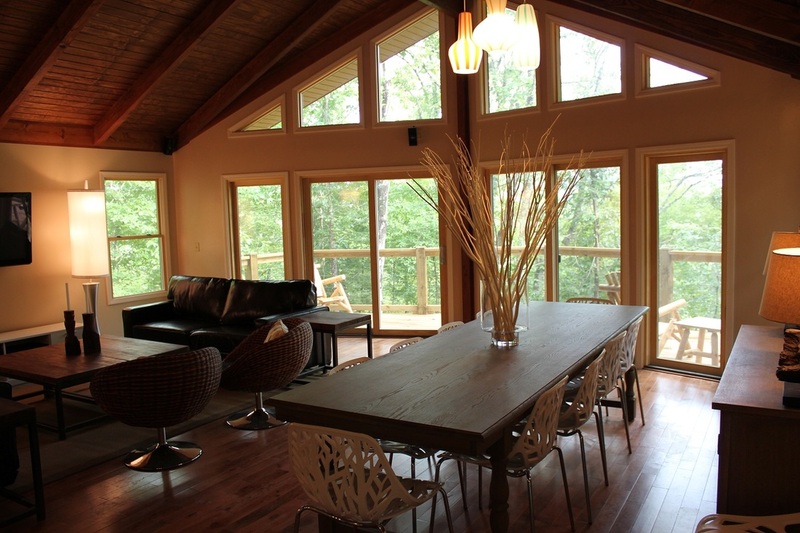 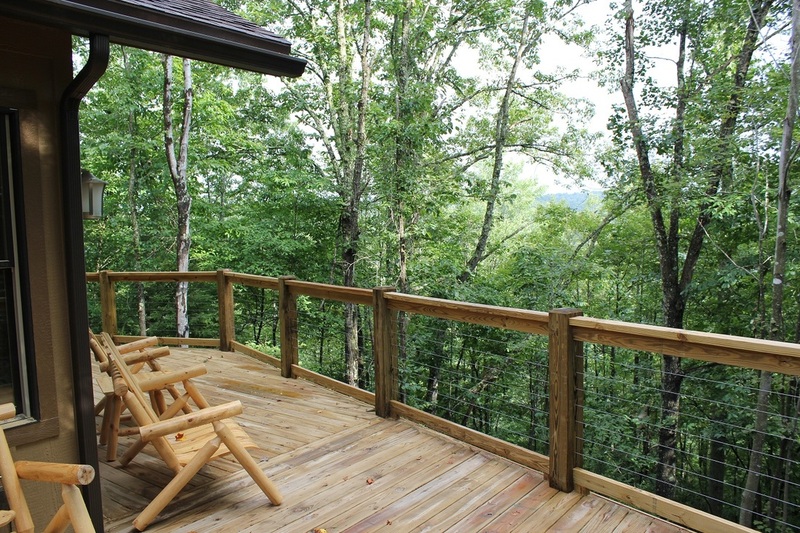 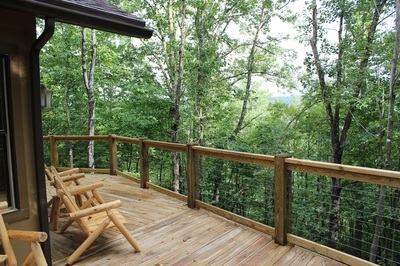 The second floor also offers access to a large screened deck and a grand deck perched above the Meadow River. 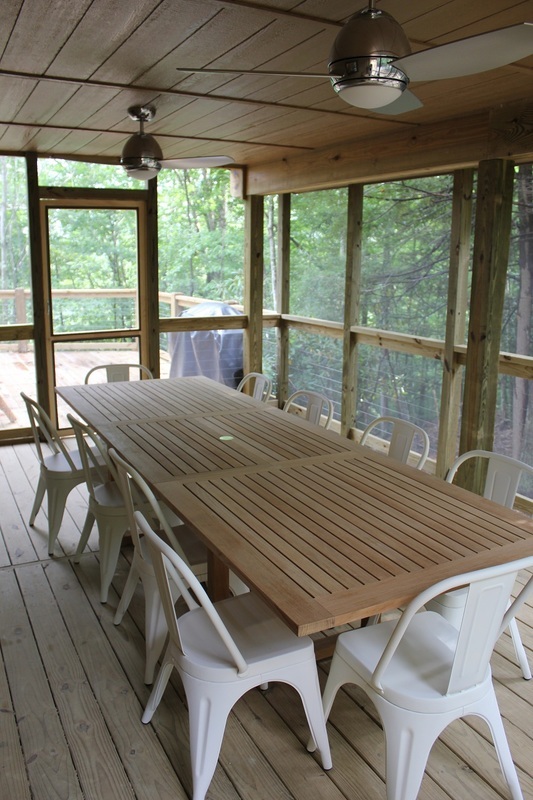 On the deck you will find a gas grill, log benches and additional seating for 10 for an outdoor meal on the screened deck. As an added feature, there is a children's play set just off the screened deck.